NES Remix director: "Does the marketplace want it or need it?" In an interview with IGN, NES Remix and NES Remix 2 director Koichi Hayashida explained that the possibility of a SNES Remix, Game Boy Advance Remix, or other Remix brand titles will depend on the market's support and fan outcry. There could even be a Remix title based on third-party classics like Castlevania, Contra, and Mega Man, should gamer's voices be loud enough to justify the cost and development time. Well personally I'm a fan of those games, and I like them a lot. If there's a big enough outpouring of support for these titles, it's something I'd like to take a look at... If we get a big enough cry for that, with a lot of people saying, "Hey, we'd love to see more of these perhaps for the SNES, Game Boy or Game Boy Advance," then it would be something we can take a look at. The possibility of a Game Boy Remix title on 3DS is interesting in light of Hayashida-san's recent comments on the absence of the NES Remix series on Nintendo's handheld. What would you like to see in future Remixes? 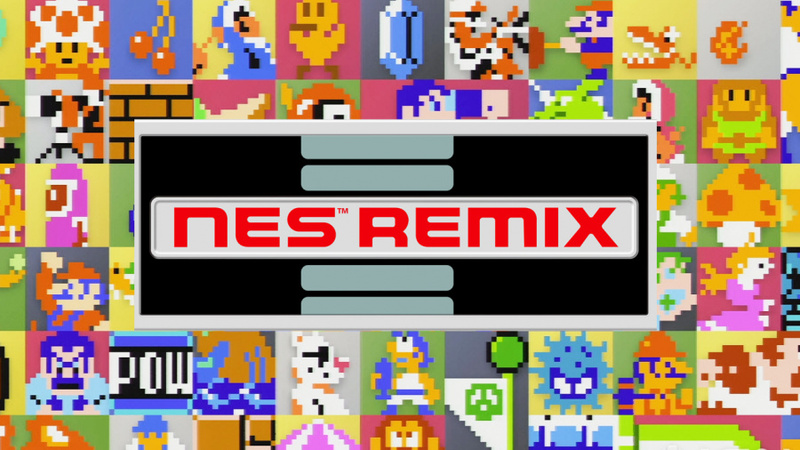 Let us know and check out our ideas for SNES Remix, as well as our review of NES Remix 2. Thanks to Ryan Millar for the heads up. SNES Remix needs to happen! Everyone needs to go to Miiverse RIGHT NOW!!! Let's flood the threads with SNES REMIX requests!!!!!!!!!! I would love remixes from any console era, but how about having N64 games available for download first? No thanks, I like my games just the way they are. Sounds like they maybe working on NES Remix 3 atm then. Shame was hoping SNES Remix would be next. Time to flood miiverse with remix requests then . SNES Remix, GBC Remix, GBA Remix, N64 Remix... I want them all! These kind of statements are just frustrating. YES! I'll buy more of these, but what amount me and other like-minded fans expressing our wishes results in said wishes being answered. Or even acknowledged. With no metric or measurable progress for such market response, it starts to just feel like screaming into an empty room. Of course these decisions are based on money, but why give a false sense of hope. Maybe bring back the voting channel or weave it into Miiverse as an occasional way to let the fans decide things like extra characters, or interest in a game sequel. There's just better ways of drawing in the fans than teasing them with hypothetical follow-ups. That said, I'd say SNES Remix seems likely. Third Party NES Remix would be great, but legally complicated. SNES Remix with SMW, SMW2, SMAS, C3: Alien Wars, SCIV, and so much more! The wallet is mightier than Miiverse! So instead of going to Miiverse, I will go to the eShop to buy the game Day 1. @Ayronom Unfortunately, Yoshi's Island (SMW2) won't be in SNES Remix, along with Star Fox. They'll have to make it to the VC first, and that is extremely unlikely. SNES Remix and GB Remix would be really cool. @indienapolis man i soooo agree with you. I guess we should go on Miiverse and pull an EarthBound! @Agent721 I second that, they need to get the Virtual Console game list way bigger, it's literally pathetic. Get in touch with Sega and make 16-bit Remix based on the console wars. Come on, that would be so good. @SparkOfSpirit I bet M2 are already onto it! Show that you want it with your wallet, not with your writing skill. 10000 people wanting a new game looks really bad when you've sold only 5000 copies. i didnt grow up on NES (we were poor), and by 2003 we had an SNES. SNES is my childhood. i would buy an SNES remix in a heartbeat, even if i only played a couple games on it (again, not much money). Does the marketplace want or need it? Really, Nintendo... fans have been clamoring for N64 and Gamecube titles to hit the VC for a long time now. The absence of these platforms on the Wii U VC kind of says that Nintendo doesn't care what the marketplace wants or needs. SNES Remix would be amazing on WiiU...though it would also be nice if the two NES Remixes were a single title with DLC like Zen Pinball does. @maggerbee Completely agree, I looked at the list of games from ps1/ps2 era available on the psn; it's embarrassing. Make a SNES remix. Then I will support it. Well, let them come ! I was never really the biggest fan of the SNES (nothing against it, I just have more memories with the NES), so I can't say I'd be excited for an SNES Remix. But I'd be interested in a GB Remix, mostly to see what they come up with for games like Pokémon and Tetris. We need a SNES Remix 1 and 2 for Wii U, then Game Boy Remix 1 and 2 for 3DS. Ahem SNES and GBA Virtual Console on the 3DS first, please. I really don't understand how the 3DS can't handle NES Remix. If they want more fan support they should release it on both systems — that would increase the sales. I don't like the NES (With the exception of games like Castlevania III that seem to fix most of the problems I have with it - sprite flicker / visual artifacts). There again Nintendo doing what they have is the only way I would ever have bought any NES games and I have a fair few. I need something to replace Donkey Kong '94 that works well for 10 min bursts and doesn't need the touch screen. (Any of these would probably work). Gameboy remix for 2/3ds with 3d!! I'd like to see NES Remix 3 first with 3rd party games before they move to SNES Remix or GB/GBA Remix. I don't think N64 nor GC remix will happen at this gen. And I don't think 3D games fit "Remix". The Wii U Gamepad is unfortunately limiting the audience of these games. If they were on a Gamepad-less system, they would sell more, showing Nintendo more easily that there is demand for them. It's a good thing that NES Remix 2 supports Wiimote controls right from the start. Having a Game Boy Remix and/or a Game Boy Color Remix on 3DS would be ideal for those who don't own/can't get a Wii U.
I'm voting for this with my wallet. Anyone who wants this should do the same. It's likely the only thing that will actually sway their opinion; no matter how much we rally on fb, if this sells badly, they won't invest in more. Still, I'm hopeful, if we got a second the first must've made enough of a profit! depends on fan support? It looks like the support is already here, why do they need to see it when they already can? I know this would never happen, but bear with me here... what if, one day, we got a GAMECUBE REMIX!!! Probably not this generation, but possibly 9th gen we could see something of that caliber. Perhaps even one day, a Wii Remix lol. Oh I'm getting ahead of myself here. A SNES Remix would be an instant buy. I love the headline quote about the marketplace wanting or needing other Remix games. They should've thought about asking themselves that before the Wii-U was manufactured. I seem to recall hearing (recently) from Nintendo that letter-writing / petitions have no bearing on what projects they develop. However, money ALWAYS talks. So, buy Remix 1 & 2 and spread the word to others to do the same if you want future installments and variations. NES Remix was a lot of fun, but seeing what they have on 1 and 2 so far, I don't see much going on for a 3. UNLESS they start using 3rd-party titles (I highly doubt that would ever happen, but, oh, that would be so much fun). Sure I would like a SNES or GB Remix. Anyways, Have any of you seen Abobo's Big Adventure? That is truly the best NES 'Remix' that I've ever played. Look it up...if not, you're missing out. NES Remix was a good game I enjoyed playing the heck out of, and still do until NES Remix 2 surfaces on the Wii U eShop. A game I plan to go after as soon as it's released btw. As for another remix brand if it ever happens. I'd rather want to see a GAME BOY Remix before we get a SNES Remix. Now I'm not against an SNES Remix AT ALL. I just mean after all, the GAME BOY did come out about 2 years before the SNES did, so it would make more sense to me that way. I want REMIX of all the consoles!!! But.... to be realistic, I think the best shot is to aim for SNES Remix. SNES Games are the most fun, creative and innovative, and they were in the most popular and best times of Nintendo's history. Just imagine challenges (with the "remastered" graphic style they've been using in NES Remix) for Super Mario World, Donkey Kong Country, Yoshi's Island, F-Zero, Super Metroid, Super Mario RPG, Kirby's Dream Course, and...... SUPER MARIO KART! Or maybe even some SNES third-party great titles like, Chrono Trigger, Contra 3, Aerofighters, Killer Instinct, Mortal Combat, or some of the soccer games. I think fans will be heard by Mr. Hayashida. @shredmeister Agreed. Abobo and Super Mario Cross-over are the best love letters to Nintendo fans we could ever hope for. If Nintendo had any sense they'd buy the rights to sell these titles on the eShop. Don't get me wrong, I like the Remix series and will buy 2, but fan games are usually where the real tributes are. SNES and GBA Remix need to happen. Also Super Mario Crossover and Abobo are just awesome. Some want it but no, we don't need it. Somehow mixing NES Remix in with Pac Man Championship edition would work wonders. I would think these games were made last year, maybe even during the end of the Wii life in 2010-12. They have nes remix 3 ready and waiting to be released along with 3 snes remixes and a few gameboy remixes, can't imagine it takes many people and funds to put them together. But the 3rd party ones, I would say they are the ones that will take a while. SNES Remix! Yay! I would die for that. Especialy if there would be 3rd Party Classics in it! I would love to see what Castlevania has to offer. I'd take anything similar that comes to the Wii U; I think it's a great way to expose people to classics they haven't played so it can drive the Virtual Console sales too. Outcry = Spend, though so don't think a lot of Facebook posts means anything. You have to buy the existing Remix titles to demonstrate there's a viable marketplace for others. A SNES Remix is practically a must. The games really deserve that treatment and it shouldn't be too hard for Ninty to put it together. There could even be enough NES meat left to complete a NES Remix trilogy with games like Mother, StarTropics, Nintendo World Cup, some other Ninty published releases as well as third party titles. And while personally i'd really like to see a Game Boy Remix i'm not so sure if a lot of people really want black and white graphics. In general i think NES Remix was a great way to get people interested in the full games again. So it'd be neat to see as many great or at least nostalgia-laden 2D games get the Remix treatment. Even remixes for the Zapper games, Master System or Arcade games wouldn't be too farfetched imo. They should do a NES sports remix first with games like Tecmo Bowl, NFL football, Pro Wrestling, M.U.S.C.L.E., Blades of Steel, 720, Tag Team Wrestling, Tennis, Soccer, Ring King, Volleyball, Rad Racer etc. 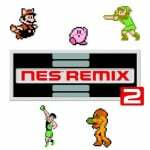 I like the remixes and wouldnt mind seeing more of them, picking up NES Remix2 when it's available. If I had to choose between that or more VC releases though, I'd pick VC releases. The concept for this is awesome! I have the first one, will pick up the second when it gets here. Hopefully it does well. Gb remix on 3ds or snes remix on wii u would be great. Wii u is great hopefully it gains momentum soon otherwise it will be the system people look back on years later and realize how great it was. How about a full priced retail entry entitled "nintendo remix" with a much larger variety of games from varied systems? So everything from super mario bros to 3d world. Metriod to metriod prime. F zero to f zero gx etc with a whole wide range of short gameplay segments from nintendos history? I appreciate this would take a while to develop,bv honestly im so bored of nes content it isnt even funny anymore. Make something more fitting of a modern console nintendo please! @TheRealThanos Unfortunately you're right. As much as I would want a GC remix, that won't happen this gen. However, anything up to the 64 could and should happen, if the fans show interest tomorrow and buy NES Remix 2. Voting with your wallet is more potent than any outcry and/or post you make on any social media. @brewsky I'm not sure that's 100% true. If WarioWare on Wii can have a Starfox microgame then I am sure there's a workaround for them to make one on Wii U. They might not be able to emulate the Super FX chip for the VC but SNES remix could well be its own game with its own engine because of the variation in styles on SNES games. @Nintenjoe64 The problem is is that all games in the NES remixes had VC representation, and I don't think Yoshi's Island would fit the bill even with the GBA version. Sure they can develop a workaround, that's how they made the GBA version, but I eon't think Nintendo would do it unless the SNES version is on the VC. Nintendo works in weird ways, which proves and invalidates my point at the same time. @Rafie @TheRealThanos There were plenty of Gamecube based microgames in a tiny fraction of Warioware on Wii. There is nothing whatsoever stopping a Gamecube remix except for the fact it would make no sense to make it before SNES and N64 Remix. @brewsky I don't think it helps that they have a thousand monkeys at a thousand typewriters in charge of their VC. I nearly cried at the 100MB file size for Advance Wars and I think Golden Sun is 200MB!! If it means we'll get more SNES classics on the VC then YES!!! @Nintenjoe64 Some in-game stills or short clips spruiced up with 5 second gameplay do not a GameCube game make, my fellow NLife commenter. You should just look at the logical side of it, and that is the side that I already explained: size, cost, revenue. Not going to happen. period. @Rafie understood that too and he is after all one of the logical ones on here. It's not that we don't want it to happen, Nintendo is just not going to do it, no matter what reasons for it being possible you come up with. It would be awesome to mix starfox and pilotwings together. Land a awing on a pilot wings runway while samus's ship tries to shoot you down. Or have link bomb other Mario kart characters and get first. Ooowww, have dk knock out gabby jay in super punch out. Also have mega man defeat Dracula or Simon Belmont take on sigma. Damm, I have so many ideas!!! I hunt physical copies of retro games and digital VC games, but this NES remix rubbish...ugh, it's marketed towards people who have low attention spands which ironically NES games take a lot of commitment. Then on the eShop, they toss some of the featured games with a bogus sticker of "AS SEEN IN NEW REMAKE 1/2". It's like absolutely asinine. Nintendo. I have been playing NES since I was 4 when my older sister gave me hers when our dad bought her a sega genesis. Not much later I demanded a genesis for myself. Yeah sonic 1,2,3&K, blew my mind....but along came the super nintendo. Genesis V.S. SNES to the grave. I would love to see this! I've been hesitant to download the NES Remix due to the cost, but I keep hearing better and better things about both games. Maybe I'll grab the first one to help support the SNES cause. Although, honestly, I wouldn't mind a jump to N64 Remix! I bought both NES remixes, i hope in future this series expands to all possible platforms, retro consoles and 3rd party franchises. waiting for snes remix, contra remix, mario remix, zelda remix and more! !